Throughout their adventures, the Hollisters meet new friends from all over the world and learn about dozens of fascinating and unique cultures and traditions. 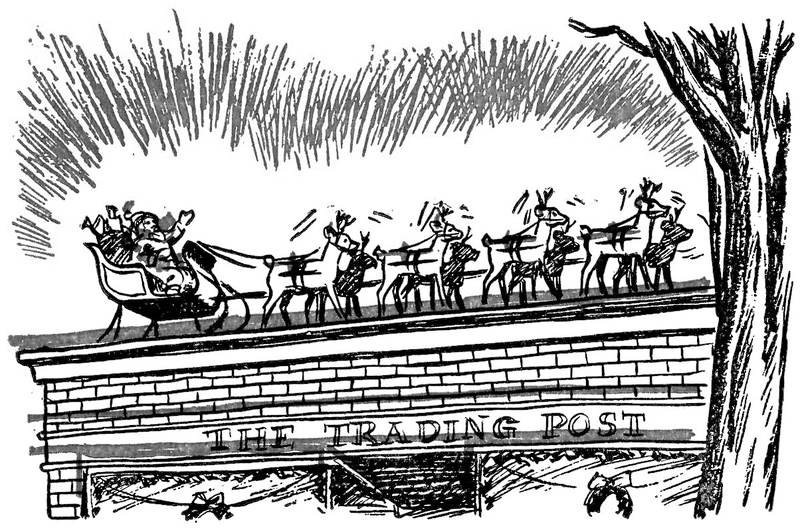 In The Happy Hollisters and the Trading Post Mystery by Jerry West, the Hollister children and their classmates at Lincoln School research holiday celebrations from other countries and put on a pageant for their families to show what they’ve learned. To celebrate the upcoming holiday season, here is a quick peek at some of those Christmas traditions and more! In Denmark, the Christmas season is characterized not by Santa Claus or reindeer, but by a little man called the Jul-Nisse! The Jul-Nisse is similar to a garden gnome, about 35 inches tall, with a long white beard and a conical cap. He is known for pulling simple pranks like turning household objects upside down; fortunately, he can easily be appeased with gifts, particularly porridge, which should be left out for him overnight. The main celebration of the Christmas season in Switzerland is December 5th, or Saint Nicholas Day. This day celebrates St. Nikolaus, who lived around 300 A.D. Originally, St. Nikolaus was a feared figure who punished naughty children by throwing their bags of presents in the forest. Nowadays St. Nikolaus, also called Samichlaus in Switzerland, is a much nicer Christmastime character who hands out treats like nuts, oranges, and gingerbread to local children. Much like the American version of Santa Claus, Switzerland’s Samichlaus has a long white beard and wears a bright red robe, although he also wears a mask during St. Nicholas Day parades. St. Nicholas Day celebrations are also seen in a few other European countries, including Germany and the Netherlands. Icelandic folklore, like Danish culture, is also filled with some strange Christmastime creatures. Perhaps the strangest of all is the Yule Cat. According to legend, the Yule Cat is a gigantic, man-eating cat that prowls around the countryside, gobbling up anyone who hasn’t received new clothes before Christmas Eve. Yikes! Don’t be too frightened, though—the Yule Cat was just a threat invented by farmers to incentivize workers to speed up their wool production before Christmas. Christmas in Iceland is also said to bring out the Yule Lads, mischievous elves who visit children in the days leading up to Christmas. They leave small gifts for the well-behaved children and rotting potatoes for the naughty ones. All the Yule Lads have silly names, like “Doorway-Sniffer” and “Sausage-Snatcher.” They are much more fun than the Yule Cat! Outside of Europe, there are still plenty of interesting Christmas traditions. In Caracas, Venezuela, people head to the local church for an early morning service on Christmas day— but they go on roller skates instead of walking or driving! This tradition is so popular that the streets are actually closed to vehicles on Christmas morning, making way for all the roller skaters. 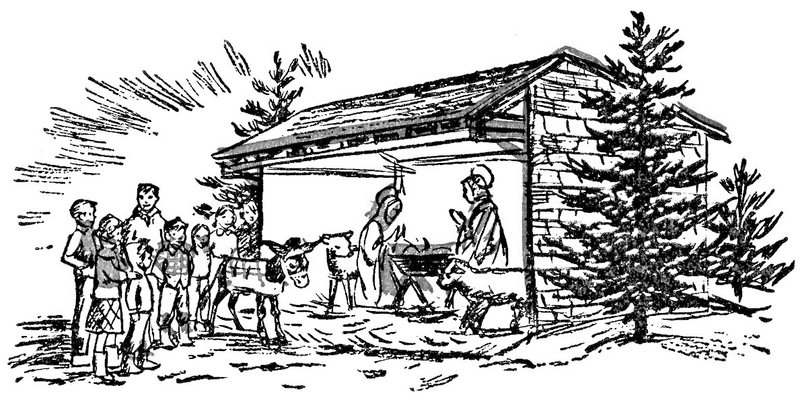 After church and all that exercise they return home for a meal of tamales, meat-filled cornmeal wraps. In Ghana, Christmastime involves dressing up in very colorful traditional clothes and enjoying a meal of meats, okra stew, and a yam paste called fufu. In Pakistan, December 25th celebrates the foundation of Pakistan as well as Christmas. In Christian areas of the country, Christmas is celebrated with intense house decorating competitions, and many houses showcase their own nativity scenes. And in Japan, a fairly modern tradition involves enjoying a meal of Kentucky Fried Chicken as their Christmas dinner! There are many Christmas traditions around the world, and all of them are beautiful, special, and festive! 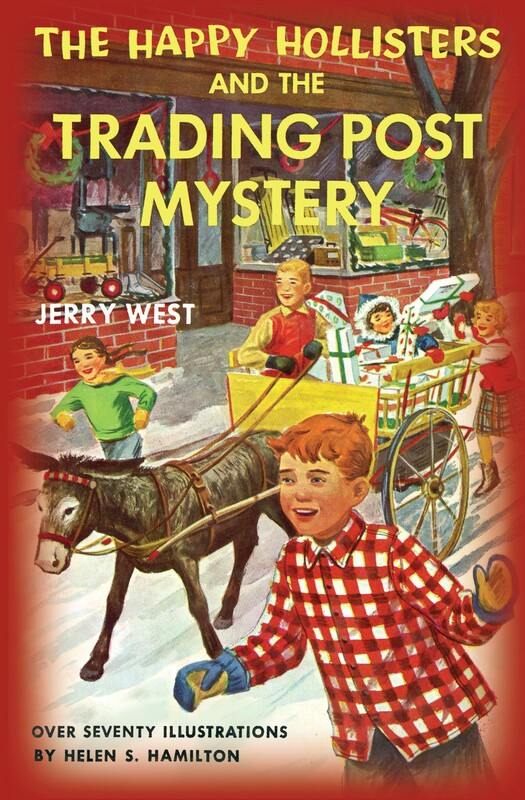 To learn more about Christmas traditions from the Happy Hollisters—and to see what kind of Christmastime adventures they’ll have—check out The Happy Hollisters and the Trading Post Mystery. This book is number 7 in the series of 33 books written by Jerry West (pseudonym for author Andrew Svenson) and illustrated by Helen S. Hamilton, and it is now available in paperback and digital formats.